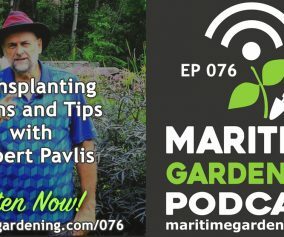 In this episode, Greg talks about how there is little time left in the season to get planting. 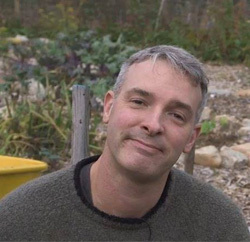 Topics covered include; wild edibles (dandelions – give it a try), radishes (are they worth it? 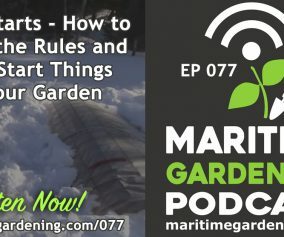 ), early greens (thinning), wild strawberries, key indicators from nature for planting times, wisdom from angling (spring peppers = smelts), red buds on the maple trees begin to fall = brook-trout, wild strawberry blossom = sea-trout, don’t plant too deep etc. Permaculture requires observation, and developing a closer connection to your ecosystem. It’s about watching things unfold in the natural world, and observing the connections. 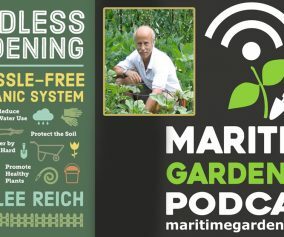 It makes sense to tie your planting times to indicators in the microclimate where your garden is located – rather than by dates and charts that are calculated based on seasonal averages and assumptions that apply to large geographic areas – because in any geographical area there is variation, and thus, microclimates. This is especially true in the Maritimes, because we have coastal areas, inland areas, and broad variations in elevation. There is also the factors that are unique to your growing site. Get out there and get at it! 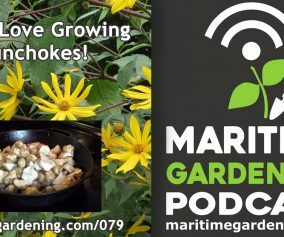 » General Gardening, Podcast » 039 : Time To Get Planting! 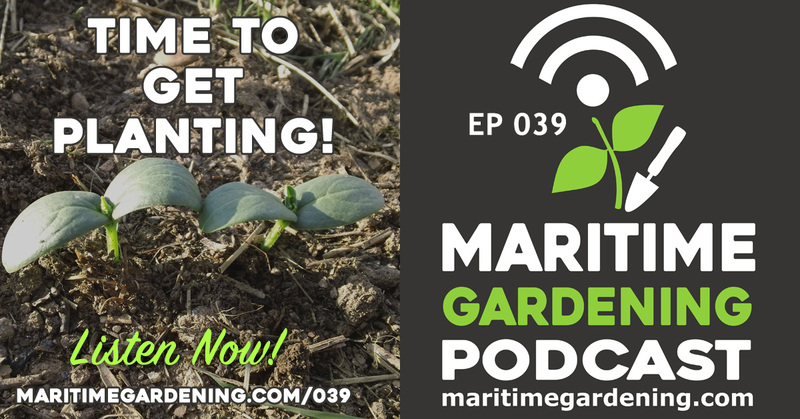 4 Responses to 039 : Time To Get Planting! The spinach-like weed you tried – do a search for lamb’s quarters. This is a great, very tender, spinach-like perennial “weed.” I’m curious if that is what it was. Hi Jeremy – I did a quick search and lambs quarters is different than the weed I ate, although i have seen lambs quarters elsewhere in the garden, and there may have even been some there in with the weeds. I’ll keep an eye out for it next time and give it a try – I didn’t know that it was edible too. Thanks for the tip! Absolutely! And let us know if and when you identify yours! Also, unrelated, what is a “feed of smelt?” Is that Canadian for a smelt dinner? I guess you could say that. There would be other things on the table for sure, but the star of the show would be a platter of fried smelts and everyone just gorges on them. They are only around a week or so, and only good fresh, so it’s a once a year ritual.